This skin care addition is for the oily girls and guys out there, it’s an overnight treatment designed for adults who have blemish prone skin. I do go through periods where my skin can be very spotty, dull and a general mess and I found using the Night Detox really helped to clear everything quickly without being too harsh and causing parts of my skin to dry out. If you tend to wake up with oily skin this is a great product to use as it stops the production of excess sebum and if a pore becomes blocked because of this over production of oil it can cause spots so it’s preventative as well as a treatment. 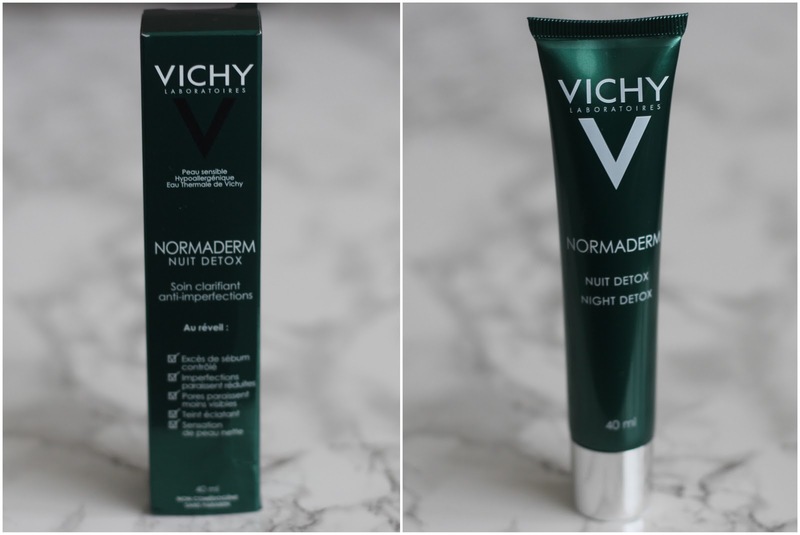 Overtime my complexion gets clearer, more even and radiant, so if you're one that suffers fro the oilies this is definitely one to try plus as it's Vichy it doesn't cost the earth, its £15.50 but you can pick it up at Escentual for £10.33 (Link) Total Bargain!